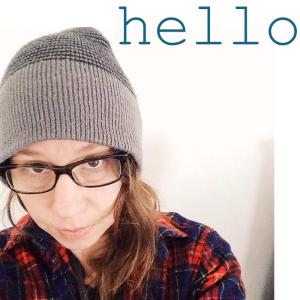 I’m over at a happy stitch today for her new series fail friday. I was so happy that Melissa asked me to contribute, because crafty/sewing blogs really need to talk about mistakes more. The pretty pictures are nice, but everybody screws up sometimes! Failures are hard to own up to, but honestly they are a lot more interesting and a hell of a lot funnier than perfectly perfect projects all the time. So go check out my post about my kcwc double fail! Posted November 9th, 2012 in sewing clothes. Tagged: boys, clothes, fail friday, failure, sewing, shirt. We are already to the fifth day of kcwc! Don’t hang up your hat even though it’s Friday! Kids Clothes Week goes a full 7 days. I know weekends can be busy. Maybe you’ve pushed yourself too hard this week and are feeling a little burnt out, or missed a day this week, but don’t stop now when the end is in site! The point of this challenge is not to make beautiful kids clothes–though that does of course happen–it is to sit down in front of your sewing machine a little each day. And it is a big challenge! When the couch or the computer are calling, it can be very hard to ignore them. I know you have two good hours left in you this weekend. I, for one, have about an hour’s worth of threads to clip. the pattern: Rae’s Flashback Skinny Tee! I have made a ton with this pattern for kcwc and I have more planned. I stole this idea from the lovely dress Heather made last kcwc. I wish I would have made the bodice shorter. And well, the arms are a little short, but I did size a 5T pattern up for my 7 year old before I realized Rae had put out a big kid sized Flashback Tee. Even will all that, I still like how it turned out–and she loves it! the sewing: Nothing to it. 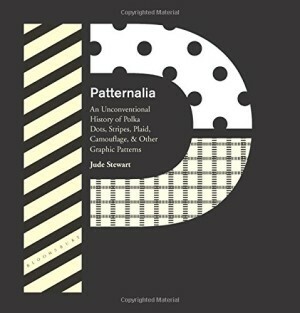 Really you need to try this pattern! Posted October 12th, 2012 in kcwc fall 2012, kids clothes week challenge, sewing clothes. Tagged: clothes, dress, fall, flashback tee, girls, jersey, kcwc, knit, sewing, stripes. The temperature has dropped and fall is finally on it’s way! It must be time for another edition of KCWC. 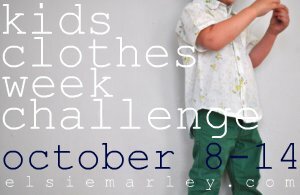 Kids Clothes Week Challenge is a bi-annual event here on elsie marley where I challenge you to sew one hour a day, each day for 7 days. The idea is that we all have the urge to sew clothes for our children, but we don’t always give ourselves the time to do it. If you commit to sitting in front of your sewing machine, or tracing patterns, or cutting fabric, for one hour each day, then at the end of the week you will have some very well dressed kids. And a very proud mama too! 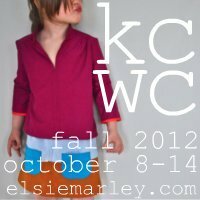 If you would like to know more about kcwc you can check out the kcwc faq page. You can also head to the elsie marley flickr group to check out creations from kcwc past or see all my posts on kcwc here. So what are you waiting for? Sign up! How do you sign up? Just leave a comment on this post telling me that you are in. Then go tell all your friends to sign up too! Spread the word on twitter, instagram, pinterest, tumblr with the #kcwc hashtag. Slap a button on your blog or on your facebook page. Link to this post and try to get all your facebook friends who sew to join too. I bet your mom would like to be invited. Last year I think there we had almost 700 people sign up. Can we make it to 800? 900? Now I’m starting to sound like a politician! Go knock on some doors for kcwc! Posted September 18th, 2012 in kcwc fall 2012, kids clothes week challenge. Tagged: challenge, clothes, fall 2012, kcwc, kids, sewing, week.